Instant Integration – Smart Connect Technologies Inc.
through a sensor gateway, and from a dashboard on your smart phone anytime and anywhere. You do not have to log on, click or check in with your system – the system checks in with you, alerting before things go wrong and takes action on your behalf. The GPAC System(TM) connects, integrates and automates the monitoring, control, status and alerting of multi-vendor sensors, devices, sub-systems. The GPAC System™ shows that IT can tackle society’s problems in more effective ways. Current systems rely on human monitoring, are stove piped solutions, don’t fully integrate with other sub-systems and sensors or allow easy data sharing – an engineering and integration pain! Imagine the possibilities if you could easily integrate all of your devices, not just cameras, and monitor and control all of them from a single platform, and dashboard, from anywhere, at anytime. A sensor gateway, the GPAC System™ allows disparate devices to be integrated instantly – without the need for engineers and engineering program overheads, enabling all of your cameras and sensors from different vendors and geographical locations to be monitored and controlled from anywhere, at anytime on one dash board! The secure on-premise, embedded server is owned by end user client and not hosted in the cloud, allows real time video and data to be distributed across multiple stakeholders enabling true interoperability. The server is ‘unattended’ – no IT support needed after deployment. Integration of multiple vendors’ cameras, devices, equipments and sensors to share real time data over any communications means, adds to the portfolio of effective protection solutions that can be specifically tailored and adapted to organizational needs. Basic risk mitigation design and implementation of protective systems that properly integrate deterrence, detection, defense and defeat, including assessment and surveillance components, to form concentric layers of protection is a complex task. Using an integrated approach, resources of diverse sub-systems such as vehicles, fixed security, environmental, fire, alarms, VASS (Video and Assessment System), perimeter and analytics sub-systems should be brought together in one complete solution, tailoring well to suit organizational detections, evacuations, facility and risk management related services. The appropriate level of protection for a facility’s assets, through a common operating picture and an automated 24/7/365 situational awareness, requires a combination of multiple sub-systems and components that must work together seamlessly. These components must be integrated and made inter-operable. Thus, automated layers of detection and defense models can be implemented for sites with a single building, or a campus or a number of buildings that are widely dispersed; more specifically, national infrastructures such as airports, power stations and sub-stations, pipelines, bridges, railway stations, bus terminals, nuclear power sites, bases, etc. The need for greater flexibility and ease of integrating existing (legacy) and new sub-systems and automating their operations is real but quite cost prohibitive due to the engineering overhead and complexities involved in making different proprietary systems and stovepipes work together. 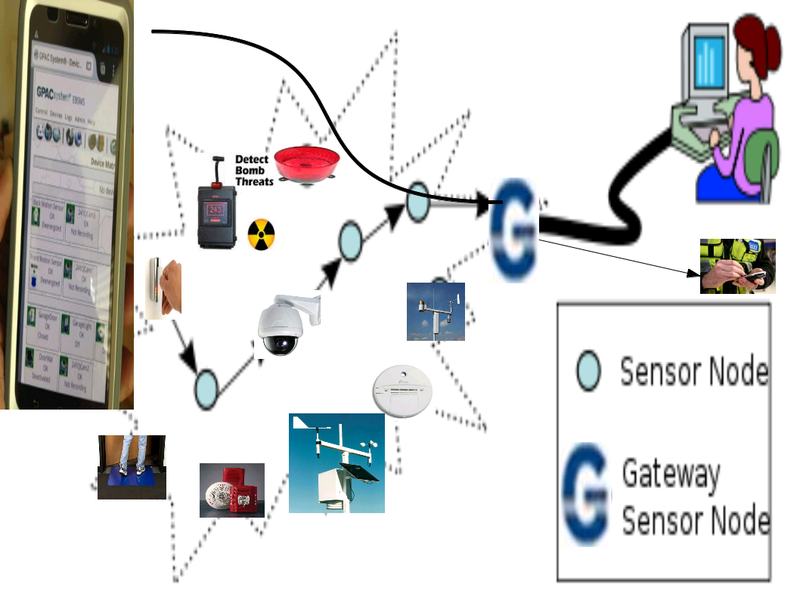 When properly designed and deployed, an integrated solution of sub-systems enables intelligent, automated monitoring approach whereby cameras, video recording and storage and analytics are triggered by sensors to alert personnel only when an incident is about to occur or is in progress and gets the right information to the right person at the right time. For example, triggering of a sensor or alarm by someone entering a space or an area, or by pressing a panic button or lifting a emergency phone handset, initiates a sequences of automated M2M activities, such as the system turning on audible and visual alerts, closing/opening doors or vents, sending text and/or email alert with video clip to all predetermined stakeholders, in real-time. Such M2M activities, including video footage can be shared immediately with internal and external parties and agencies, including law enforcement, emergency and relief service personnel as necessary; who would then respond accordingly. Further evidence is captured and stored for successful prosecution; real-time video streaming can be accessed remotely using a standard web browser from any web enabled device. The GPAC System™ is changing the way people work together by removing the pain of technology, making it easy to connect and instantly integrate and share real time data over the Internet by any communications means. This unique software platform empowers people by allowing easy automation of manual tasks, enabling freedom and computers to work for people. You do not have to log on, click or check in with your system – the system checks in with you, alerting before things go wrong and takes action on your behalf. The GPAC System™ combines both video and sensor data for fixed and mobile applications in a multitude of industries. It is very easy to use the GPAC System™ to integrate multiple suppliers’ cameras and sensors to share real-time and critical on scene data and information, thus extending infrastructure utilization and adding to the portfolio of innovative technology solutions to protect people, assets and communities. 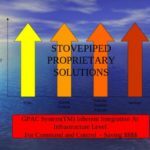 Organizations benefit with innovative solutions from their GPAC System™, providing for simple and instant integration to derive innovative solutions of computers working for people. The only limit to the possibilities is our imagination. The GPAC System™ sits on top of other systems, facilitating a common operating picture for personnel across the board. Contact us to find out how the GPAC System™ can help reduce costs and incidents through intelligent and innovative ‘instant integration’ of sub-systems and interoperability solutions.